If you’ve been wondering, “Where can I find secure storage containers for rent near me in Seattle?” then you’ve come to the right place. With service spanning the entire Western United States, Haulaway Storage Containers offers exceptional quality and service at an affordable rate. We truly believe that our customers deserve the best, which is exactly what we deliver. 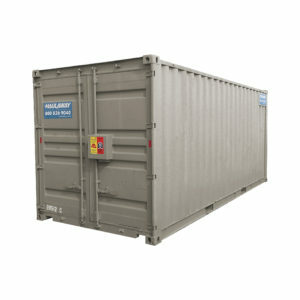 No matter what your space needs, we can deliver the best size container, from 10’ to 40’ and everything in between. Our many customizable options mean you never have to pay more for space or add-ons that you don’t need. Likewise, you won’t ever have to compromise better quality for more space with our units. Shipping containers for rent near me are easy to get with Haulaway Storage Containers, the leading experts in storage container and shipping containers delivery and pick-up in the Western United States. Our Washington service center is just a short drive away from Seattle, and we frequently deliver to our customers by the next business day. We value your time and your life, and we know how quickly things can change. Which is why we offer such timely and dedicated service to our clients. So go ahead, pick up the phone and make the call that will improve your life today!